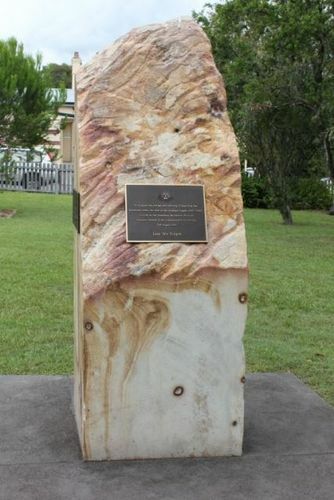 A monument commemorates the Australia and British prisoners of war (including those from the Richmond Valley), who died, or were killed, or suffered on the Sandakan death marches, during World War Two. The memorial honours the 2,434 Australian and British prisoners of war who died in the tragic Sandakan death marches during the second World War. The marches across Borneo are regarded as the greatest atrocities committed against Australians during the war. More than 1,000 Australians died on the 260 kilometre trek through jungles and mountains, only six escaped and survived. The boys who played here once are gone. And we do not forget our sons.